We have been busy analyzing industry data to understand the changes that are occurring in the coworking industry across the globe. We are releasing our 2019 global supply data in small “bites” before the publication of our full report. Which Continents Have the Largest Supply of Coworking Spaces? The data above represents the distribution of coworking spaces around the world based on 2019 data provided by Coworker.com. We analyzed where coworking spaces are located, continent by continent, from a sample of 10,452 coworking spaces globally. We then shrank the sample size to 9452 spaces that are verified, confirmed to be open, and qualified as a professional coworking space. We feel this data is insightful for space managers and believe another interesting comparison would be to see how these numbers compare to workforce figures in those continents. In our coming coworking space supply report, we will additionally look at this data on a country and city basis for comparison. 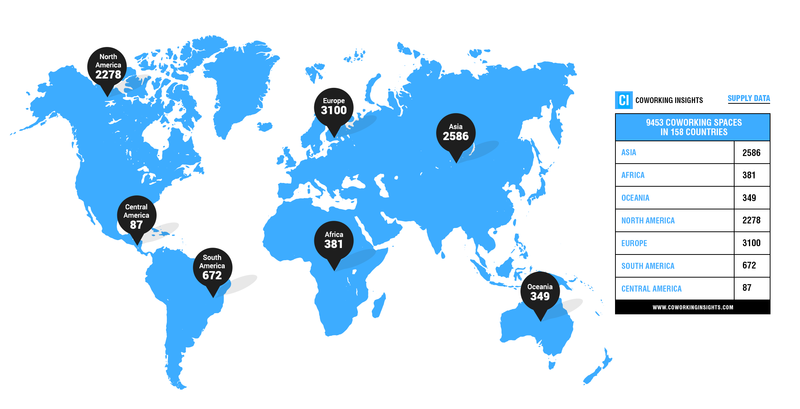 This data is representative of 9452 coworking spaces across the world (that have joined the coworker.com platform. 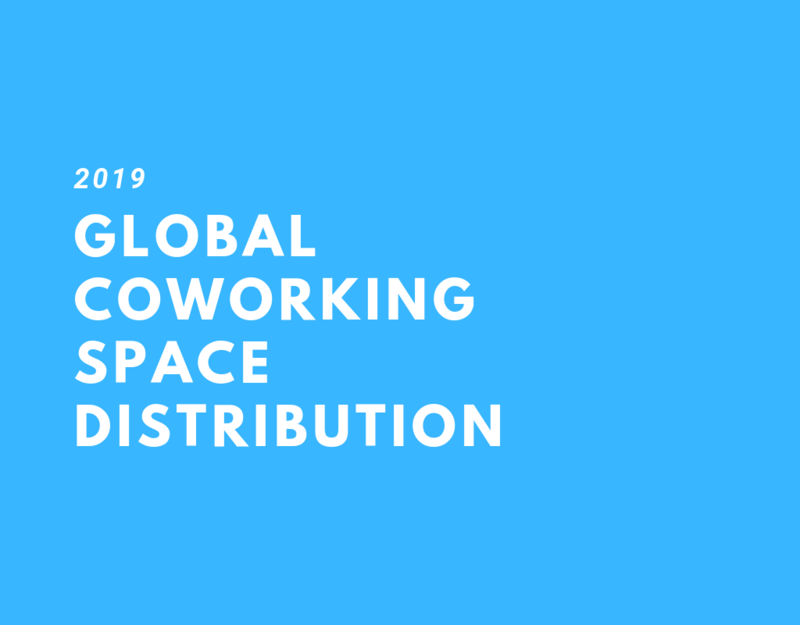 While it is not a perfect illustration of global coworking space distribution, we feel it is statistically accurate comparison of how coworking is developing across the world. Europe has the largest supply, now with more than 3100 spaces, with Asia in 2nd at 2586 spaces, and North America narrowly behind with 2278 spaces. We do feel that Asia may truly have the biggest supply, with the large supply markets of Japan and China more challenging to penetrate with Coworker’s brand. We hope you enjoyed this data “bite”, and look forward to a more detailed analysis ahead in our coworking space supply report!